As an Uber driver, it is important to keep your car in top shape at all times. Keeping your car neat and tidy will keep customers satisfied and help increase the chances of getting a 5 star rating. You need to maintain certain standards and give the impression of a professional as well to get and keep your 5 star rating as an Uber driver. When driving passengers across your city, you are bound to pick up some dirt along the way. To keep your car interiors looking neat, every Uber driver should have plastic car mats that make cleaning easy. All you have to do is take out the floor mat and flip it to remove dirt. For tough stains, all you have to do is rinse off the plastic car mat. This odorless plastic car mat is durable and flexible enough for all the contours on the floor of your car. It can survive all kinds of weather and is designed with non-skid backing to keep it in place. This car mat is thick and comes with liners. With a pair of scissors, you can customize the car mat to fit your floors. This is a 3 piece plastic car mat that prevents all kinds of dirt from reaching your car floors. It is also designed with non-skid backing to prevent the mats from sliding around on the floor. They’re made of durable rubber, with small grooves and this helps keep dirt and mud trapped at the surface. It is made of flexible leather that is easy to trim. To clean, simply wash down with water. The back car mats fits across the entire length of the floor of the back seat. This 4 piece item is thick with tall outer ridges that prevent fluids from leaking onto carpets. It measures 18 x 2 x 29 inches so be sure to measure your car floors to see if they will fit. It is durable and flexible to fit all corners of your car. If it is too large for your car floors, you can easily trim with a pair of scissors. This product is a 3 piece mat designed with ridges and divots that clear mud and snow from your shoes and boots while keeping it trapped in the mat and clear from your vehicle’s flooring. It is great for harsh weather conditions like heavy snowfall and mud as it is very durable. It is made to fit all kinds of vehicles and if they appear too large, you can trim easily with a pair of scissors. India is a densely populated country with a population with over 380 million people and counting. Despite the ever increasing number of its populace, it’s one of the fastest growing economies in the world. India is also plagued with certain social ills that are peculiar with countries that have a large number of rural communities. There is a big divide between the rich and the poor; traffic congestion and poverty among some rural communities. Serving such a huge number of people is no small feat and India’s government is trying hard to meet the needs of the teeming populace. Substantial government intervention can be seen in the nation’s public transport system. In this post, we will discuss public transportation in India. Trains are one of the most frequently used mode of public transport in India. However they are usually overcrowded and can be a shock to tourists or first time passengers. There are options for first class and second class on the trains and even cars for ladies alone. The Metro is the preferred option for quick and fast commuting. The Metro lines in Mumbai, Delhi and Kolkata transport millions of people daily. Passengers who wish to avoid traffic congestion on the roads opt for the Metro. Buses are ubiquitous in India and are the most popular mode of travelling in the city. They are cheap and make up about 90% of public transportation in India. In order to encourage people to leave their cars at home and opt for the bus, the government has tried to reform these buses and provide facilities that cater to various needs and different segments of the society. There are cycle rickshaws and auto rickshaws. The cycle rickshaw was first introduced and has continued to serve the populace. It involves two people sitting on an elevated seat at the back and one person sitting in front and peddling away. The auto rickshaw is a more modernized model that carries 3 at the back with one person driving in front. You can hail a taxi by the roadside or at taxi stands. Some cities offer taxi services where people can call for a taxi by phone. Government regulations require that all taxis must have a fare-meter installed. This isn’t the case for rideshare services like Uber where people request taxis from the Uber app. As a tourist visiting America, the train is a relaxing way to enjoy the scenery and see all that the country has to offer. Intercity train travel in USA is operated by Amtrak. Amtrak facilitates travel through an extensive rail system throughout the USA. So what do you need to know about train travel in USA? Going across the U.S is a 3,000 mile journey that will last about 3 nights without any stopovers. If you intend to undertake several long-distance trips, it will be wise to purchase an Amtrak Railpass. You can get up to 8 journeys (or segments) for about $459 and above. There are also other options offered on the website. You can settle for individual tickets as well. To learn more, visit www.amtrak.com. Amtrak’s Thruway buses will provide connections between rail networks. However, note that rail passes do not qualify as reservations. Visit Amtrak’s website and make your reservations and pick up your ticket(s) before boarding the train. It’s wise to make your reservation early so as to secure your seats as they could be sold out. You can’t reserve coach seats in advance. Coach seats are just assigned by an Amtrak staff on the platform. You may opt for commuter trains for faster travel between short distances. Bedrooms – Suites that accommodate four with personalized showers and toilets. For a pleasant dining experience, be sure to have a meal in the dining car. There is room for multiple passengers to dine at once and you get the chance to eat and interact with fellow passengers. The bar car is also available on most trains. Enjoy a coffee, share a booth with other passengers while playing a game of cards. The dome car is also available on trains that pass through scenic routes. Enjoy views through giant windows as you pass through various routes. We hope you found this post useful? Uber taxi is a convenient way to move around the city and get things done as smoothly as possible. Uber has presence in over 600 cities and counting and continues to experience growth in new cities. To request Uber rides, customers need to have access to a Smartphone and the internet. To begin, you have to download the Uber app and then go on to register your details on the app. Once this is completed, you can then go on to request an Uber ride and any Uber type available in your city. Your Uber driver arrives at your specified location to pick you up. You will also get a notification once your Uber taxi arrives. Without access to the internet, it will be highly unlikely but not impossible to get an Uber taxi to your location. 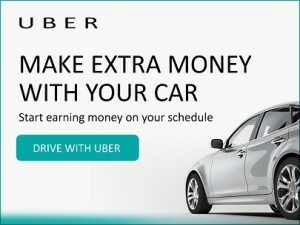 Uber introduced the “schedule Uber” function in some cities where passengers can prebook Uber for up to 30 days ahead. If the schedule Uber function isn’t available in your city, you can download the Kommen app to help you schedule Uber ahead in your city. The Kommen app is a third party app that works hand in hand with the Uber app to enhance your Uber passenger experience. One way to get an Uber when you are offline is by scheduling Uber ahead of time. When the scheduled date arrives, Kommen will request the ride on your behalf and push the driver and car details to you by SMS. To download Kommen, go here. All you need is to have an internet connection while you request for the ride. Once you’ve booked your ride and the Uber is arriving, feel free to disconnect from the internet and wait for the ride at your specified pick-up point. Before going off the internet, be sure to take note of the driver’s name, plate number and the model/make of the car. Again, it is important you take note of car details so you can recognize the driver and vehicle’s details. Seeing the world and what it has to offer can be an exhilarating experience. However, deciding where to travel next for another epic adventure can be difficult. There are several factors that might need to be considered when deciding where to travel to. If you have a long list of places you want to visit before you are no longer able to enjoy the thrills of travel, then its better you get started now. So, how do you decide where next to travel to? We will review some factors to consider that will guide you in settling on the right destination that suits you. Step 1 – How much money do you have budgeted? This is perhaps the most important factor you will have to consider as it will determine what country to visit, duration of stay and your daily budget. For example in Portugal, you could get by on a daily budget of say $70 USD but this will not be the case if you visit Italy or Germany. Depending on what country you live in and where you want to travel next, airfare will vary as well. After deciding on your budget, you need to research a location that suits your budget. Pick your top choices and compare them to your budget. You can also save more if you are able to grab great discounts on airfare. Keep your eyes and ears peeled for promos that can offer up to 70% or more off flight tickets. You can visit Hooper and subscribe to get notifications for amazing deals. You can decide on what country to visit based on how affordable the airfare is or the best deal available. You can also decide on a destination from your top 3 choices based on your planned activities. If you intend to explore nature and the outdoors, then you know you will have to go hiking. The Inca trail of Peru or the Torres del Paine of Chile will be great places to visit. For the art and historic sites, you should consider Greece. If you intend to eat as much as you can and open up your taste buds to new delicacies, you should consider the exotic Thai food of Thailand. Be sure to check if any of your top choices align with your planned activities. Once you decide on the country you intend to visit, determine how much time you intend to spend there and pack your bags accordingly. Well, You are all Set. So get moving and remember to have fun.